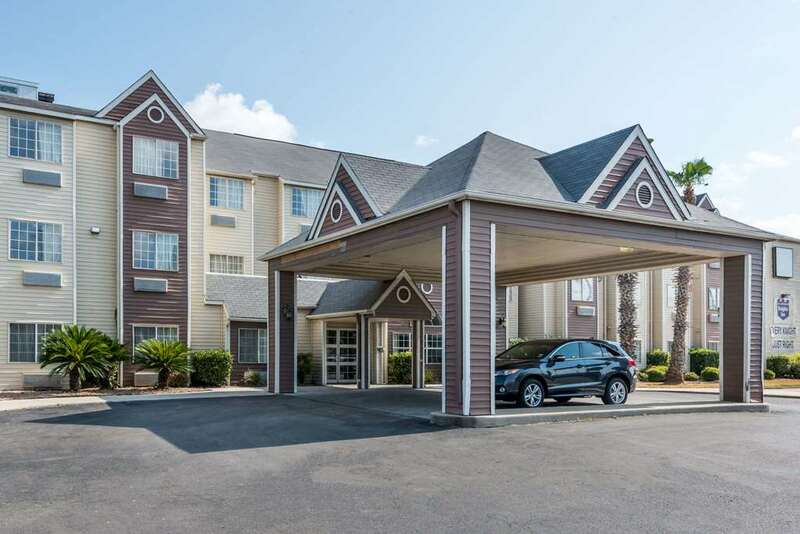 The Knights Inn and Suites San Antonio Downtown/Market Square is located near The Alamo, University of Texas San Antonio, Six Flags Fiesta, Alamodome, Fort Sam Houston, SeaWorld, Lackland Air Force Base and Calaveras Lake. Guests will enjoy an outdoor pool, free coffee and tea served daily from 6:00 a.m. to 9:30 a.m., free high-speed wireless Internet access, guest laundry, fax/copy service, free parking with room for large vehicles and meeting facilities. Guest rooms offer cable TV with extra stations, free high speed wireless internet access, microwave, hair dryer, free local calls, air conditioning, alarm clock/radio, iron/board and electronic door locks.